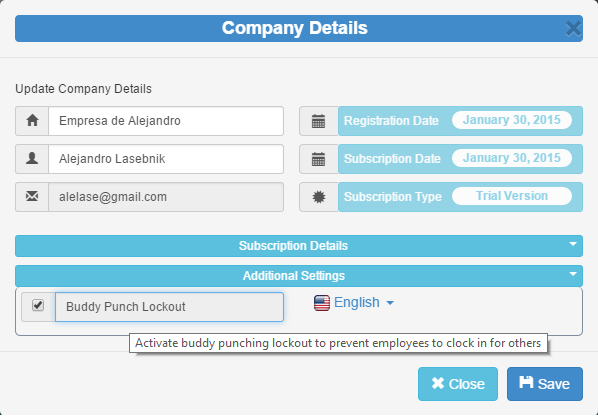 In order to activate the "Buddy Punch Lockout" feature, you will need to login to your emplotime administrator portal and click on "Company Details", then, under additional settings check the "Buddy Punch Lockout" checkbox and click Save. From this time forward, your employees will be prompted to enter their 4 digit code. Remember to personally provide the code to your employees. 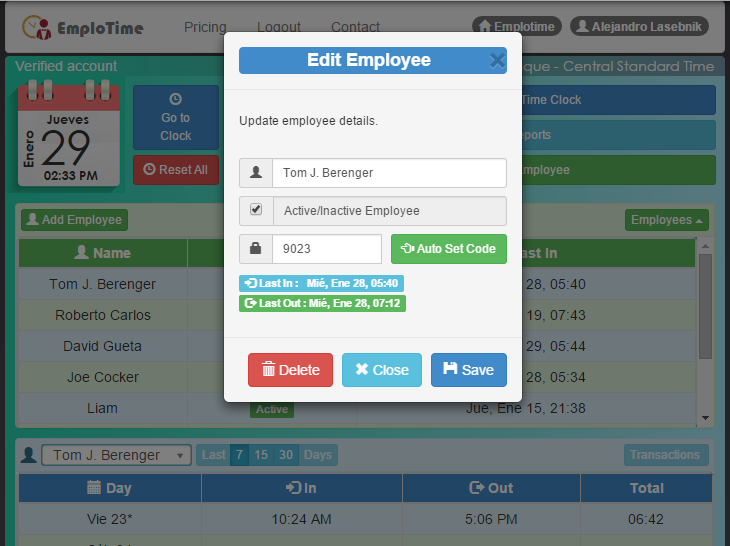 In order to see the code of a specific employee just edit the employee line in the Administrator portal by clicking on the employee line. In addition, this code can be automatically modified by pressing the "Auto set code" button, or either you may provide a code chosen by yourself. This code must by provided in person to each employee. For more information you may reach us through the Emplotime contact form. Get a 30 days emplotime free trial now! 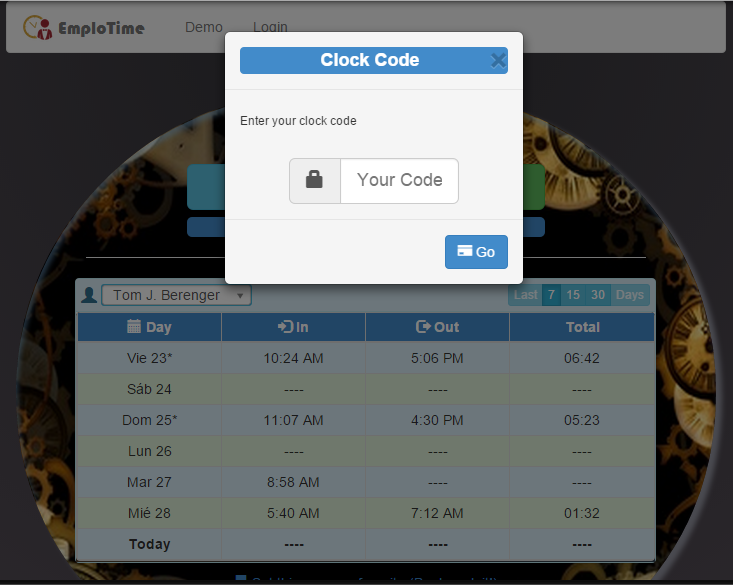 If you already have your Emplotime account, you already know the "Authorize Clock Here" button, which allows you to authorize or cancel the time clock within the same PC/device you're logged in. Until now, it was the only way for authorizing/canceling the virtual clock. Of course, that, in order to follow this procedure, the administrator needs to be present, and this, could be an issue in some cases where the administrator works in a location, different from the one where the clock needs to be authorized. Recently, we have introduced two interesting features which may be essentials for some companies. These features come handy when it is needed to authorize or cancel distributed time clocks. 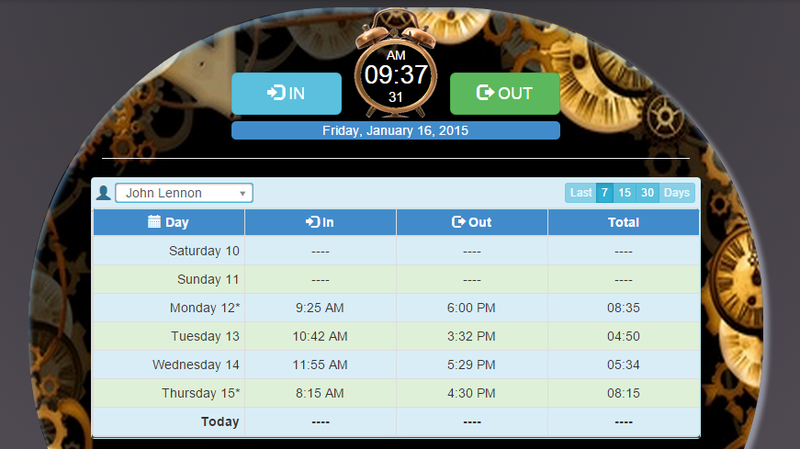 The first feature provides the possibility to remove all the clocks the company have set so far. (see the "Reset All" button in the upper image).